Look at the two pictures of Fiji island below. They are called as the overwater bungalows/villas/bures. The last word means ‘huts’ in Fijian. While the first picture is an aerial view of the private villas on the seawater meant exclusively for the honeymoon couples, the second picture is taken from the inside of the bure facing the sea. 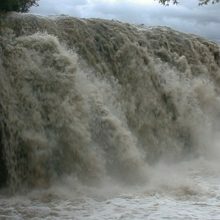 Will you vote for any other place on the earth that is more suitable for honeymooners than this? If you are already married for 25 years and more, isn’t this island getaway enticing you to plan your second honeymoon? I feel I should not have posted the pictures at the start of this blog post as I am afraid you won’t need any further information to make your flight and accommodation reservation. Nevertheless, I divulge all the relevant information below for the benefit of those who are not as impulsive travelers as me. 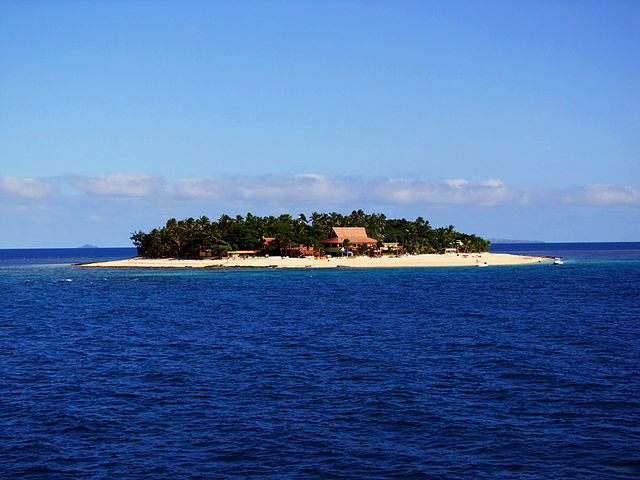 Fiji is an archipelago comprising of as many as 330 islands and 500 islets! OMG! Wouldn’t I want to set my foot on every one of them even though only about 25% of them are inhabited? 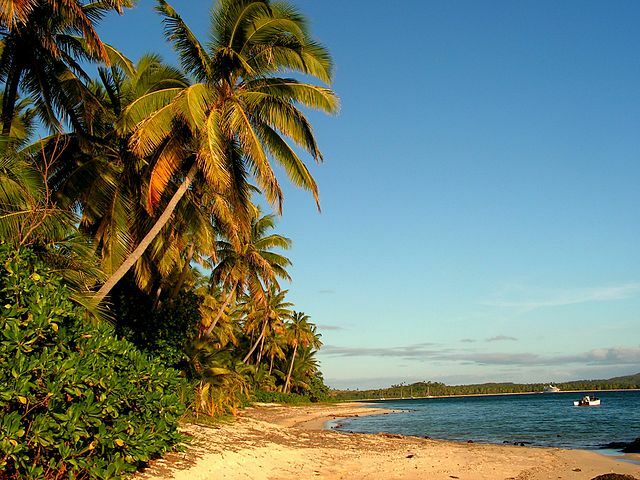 Fiji tourism is revolved mostly around Viti Levu and Vanua Levu, the two major islands. 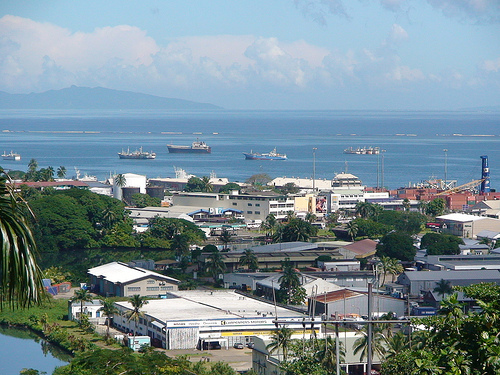 Fiji’s capital Suva is located on the former of the two. 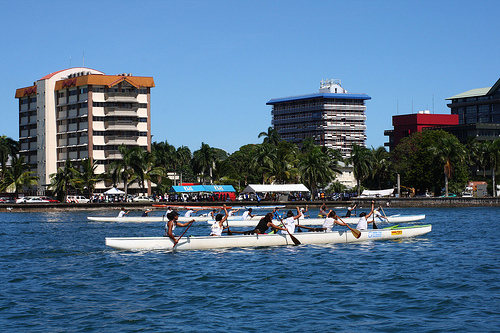 Suva is known to have strong British culture, especially in the architecture. As I consider myself a romantic traveler, I wanted to find the ways to reach Fiji by sea but I am sad that I could not find any solid information about cruise ships that offer to take me to Suva port. I think the local Government is not favoring sea tourism. By flights, the Fiji Airways operate several flights to Australia from its Nadi international airport. Nadi is another major city apart from Suva that lies on Fiji’s east coast while Nadi is situated on its west coast. It operates direct flights to Los Angeles, Sydney, Honolulu, and Hong Kong. Korean airline operates flights from Seoul and similarly, Air New Zealand flies to Fiji from Auckland, Wellington, and Christchurch. I think you had enough of Fiji as an island country and you want me to get on with the subject which is all about the overwater villas at Momi Bay offered by the Marriott Fiji Resort and Spa, Fiji. The resort that is offering several (114) over-the-water bungalows at Momi Bay, Viti Levu island, Fiji is close to the Nadi city. 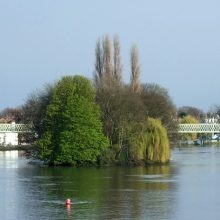 However, not all the 100+ rooms for the guests are placed on the water. 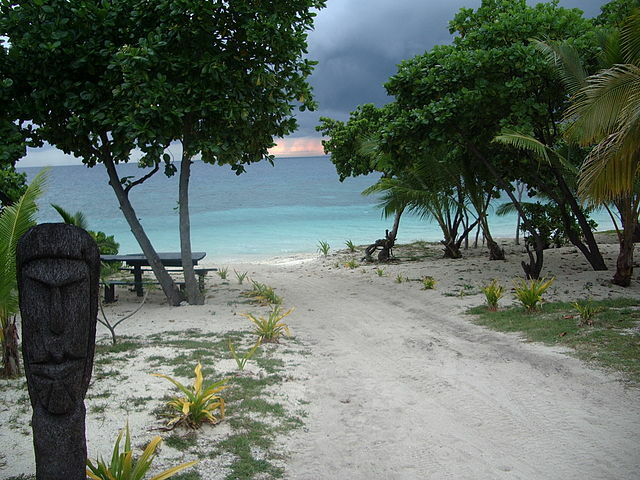 Only about 20 are built right on the South Pacific water and the rest are built on the mainland abutting the beach. The water huts come with a deck and it’s a brilliant idea to spend your daytime fully on the deck because I don’t think you will enjoy the night out. Resorts in islands facing the ocean don’t look that conducive to stay if you look at them in the night. Mr. Dressino who is responsible for running the Marriot resort must be a creative man with excellent business acumen. He realized the property is very ideal island getaway for honeymooners and he has reserved some of the huts as ‘adults only’ and reserved a swimming pool for adults alone. Honeymooners must personally meet him to thank him for the privacy and luxury. Food at the Marriot Resort, Fiji. The tourists first stop to eat would be the ‘Fish Bar. What an ideal name to serve the freshly caught fish from the South Pacific ocean! The other three eateries serve authentic Fijian cuisine cooked mostly the Indian style. Authentic Fijian cuisine uses rice as the staple, coconut, sweet potatoes, taro (Colocasia), and fish. In addition, a bakery sells sandwiches and pastries. There is a bar abutting the lagoon that serves drinks after the evening. There is nothing much out there apart from water-bound activities that include fishing, scuba diving, and surfing. In the nearby sightseeing places, adventure lovers can try ziplining. A botanical garden called ‘Garden of the Sleeping Giant’ is a wonderful place to relax by seeing hundreds of flora. It’s a green garden full of tropical plants and trees. Sabeto hot springs are an added attraction for the guests touring the Fiji islands. There are three mud pools where you apply mud to your body and cleanse it off after some time at one of the hot water springs. 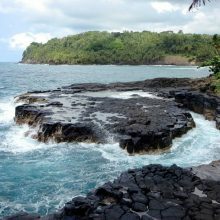 If I ever go to Fiji, my first choice of visit will be to go to the Taveuni Island because it is where I can get lost temporarily in a true tropical jungle. What’s your style of enjoying on a tropical island?